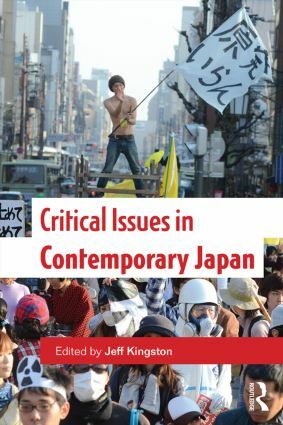 This book provides undergraduate and graduate students with an interdisciplinary compendium written by a number of leading specialists on contemporary Japan. Chapters reflect the standards of rigorous scholarly work, but also exceed them in their accessibility of language and engagement with concerns relevant to non-specialists. The probing analysis of key debates and issues confronting Japan make this ideal for college courses and an essential reference work on Japan/Asia for libraries. This book encompasses a range of disciplines in the social sciences and thus will be useful for a variety of courses including Comparative Politics, Media Studies, Anthropology, Sociology, Asian Studies, International Relations, Public Policy, Healthcare, Education, Judicial Reform, Gender and Minority Studies. The strength of this volume is in the collective efforts of accomplished experts providing in-depth analysis and up-to-date comprehensive coverage of Japan in the 21st century. Students will gain the analytical insights and information necessary to assess the challenges that confront the Japanese people, policymakers and private and public sector institutions. Japanese politics: mainstream or exotic? Reproductive rights in Japan: where do women stand?